Some terrific reviews of Cinnamon Stevens - Ghost Light have appeared on Good Reads. Here's one. 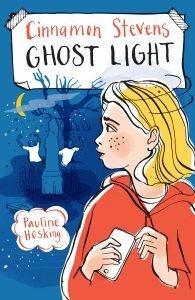 Cinnamon Stevens ‘Ghost Light’ is the second book in Pauline Hosking’s girl detective series for 10-12 year olds. 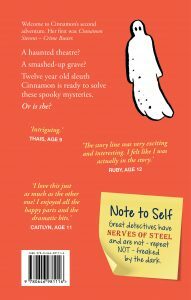 Like ‘Crime Busters’, the first in the series, it is written as Cinnamon’s diary, created while working on the current case. Complete with illustrations, newspaper cut outs, sticky notes, emojis and text and email printouts, its presentation is very attractive. From this point on you can hardly bear to stop reading for long enough to turn the page. Merged in with the detective tale is the growing friendship between Cinnamon and her two friends and associate detectives, Meera and Cossie. Peppered with girlie banter, the friends model how generous mutual support can overcome bullying and racial taunts. Cinnamon in particular comes across as someone prepared to confront wrongdoing and put things right, important qualities for a detective-in-the-making. 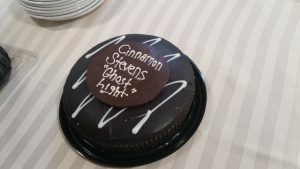 Cinnamon and her friends solve the mystery of who attacked Showy and why, along with the true identity of the ghost that haunts the theatre. The investigation culminates in a showdown where the girls narrowly escape disaster by using their martial arts skills. Pauline Hosking’s writes a fast paced whodunnit, spiced with humour and the everyday angst of life as a twelve year old girl. In Cinnamon she has created a likeable and believable character, a girl of action whose ambition, be a great detective with ‘nerves of steel’, will surely be realised. I loved Cinnamon's list of inspirational quotes. A great read. I hope we see more from Cinnamon soon. Once again the great illustrations for the book were created by Kat Chadwick. 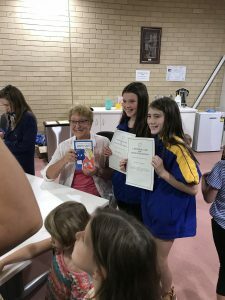 'The second title in the Cinnamon Stevens series for primary aged children is told mainly in journal form and is set in Melbourne, Victoria's Mount Dandenong and Walhalla in Gippsland. Cinnamon, 12-years-old and in Year 7, takes Wing Chun Kung Fu classes and has a crush on Angelo who is disappointingly sexist. 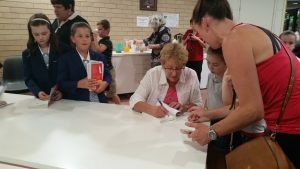 She has previously solved a case as an amateur detective with her friends Cossie, an aspiring actor, and Meera, who is a brainiac and bullied because of her intelligence, lack of interest in sport and Indian origin. Nasty racism emerges after Meera is unfairly blamed for dobbing. The dynamics of friendship is another major theme in the book, including Cinnamon's misplaced concern that she is being left out of the trio and the consequences of sticking with a bullied friend. Cossie is auditioning and then rehearsing for the play of Macbeth in the new Ambassador Theatre, built by Adelaide Glendenning, who was famous for playing Lady Macbeth at the height of the gold rush. Now her ghost is sometimes seen in the theatre. Meanwhile Cinnamon and Meera go on an over-night school excursion to the goldfields at Walhalla. When a gang of students sneak into the cemetery at night, one of the boys is felled near Adelaide's grave. Cinnamon is determined to solve the dual mysteries of the attack and the identity of the ghost. 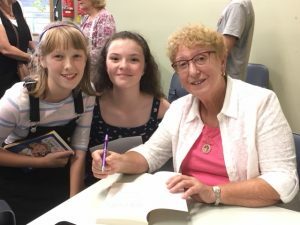 An easy read, with parts formatted as texts and emails and footnotes which often give further information or explain word meanings in Cinnamon's energetic voice." Melissa Gijsbers Khalinsky reviewed Ghost Light for her Missielovesbooks blog. The book was launched in April 2018 at Belgrave Library and also at Traralgon Library. Traralgon is the nearest city to Walhalla, the old gold-mining town in Gippsland, were much of the book takes place.